The three-dimensional variational data assimilation system of the Weather Research and Forecasting (WRF) model is used in this study to assimilate the INSAT-3D temperature and specific humidity profiles over west coast of India, Mumbai, during 0000 UTC of 11–12 July 2016. The analysis obtained after assimilation is compared with the European Centre for Medium-Range Weather Forecasts (ECMWF) analysis. After ECMWF assimilation, the results of the rainfall predictions show improvement over the Indian region. Overall, the assimilation of INSAT-3D is compared with ECMWF analysis, which shows quite good improvement in temperature and humidity analysis. Positive improvements are noticed in 24-h WRF model-predicted rainfall on assimilation of INSAT-3D thermodynamic profiles over west coast of India, Mumbai. The analysed global and forecast data provided by the NCAR are duly acknowledged with sincere thanks. Authors also like to thank MOSDAC at Space Application Centre, Ahmedabad, for the satellite (INSAT-3D) data. 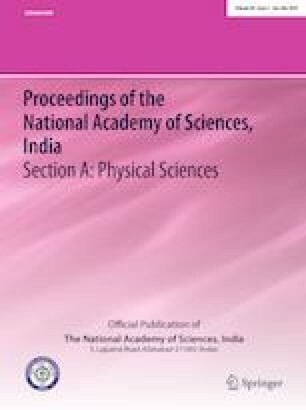 Both the authors are grateful to SVNIT for financial support for this research work.